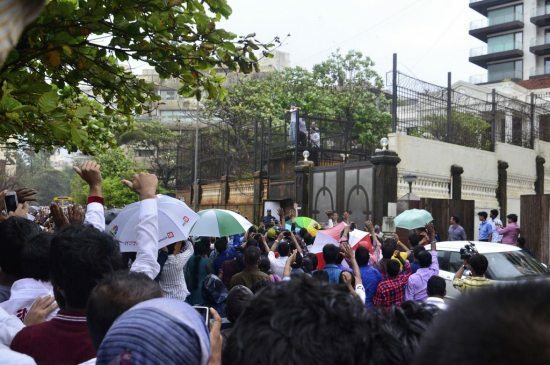 Elated crowds outside Mannat as Shahrukh Khan celebrates Eid with fans. 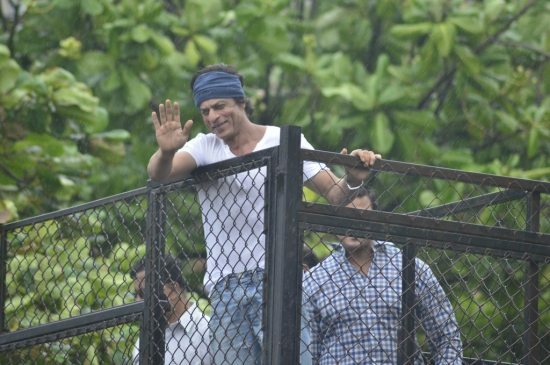 Bollywood badshah Shahrukh Khan made sure to include fans in his Eid celebrations on July 29, 2014 in Mumbai. 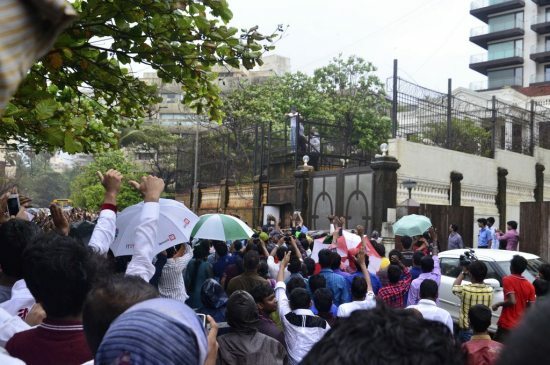 The star – who has a regular crowd outside his Bandra home – came outside and waved out to eager fans who braved the rain to get a glimpse of King Khan. 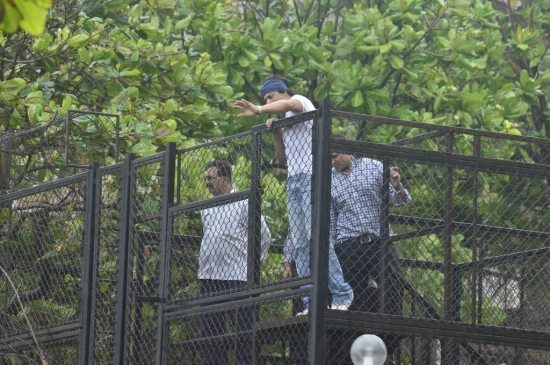 SRK was dressed in his quintessential casual attire – white tee and blue denims paired with a bandana. 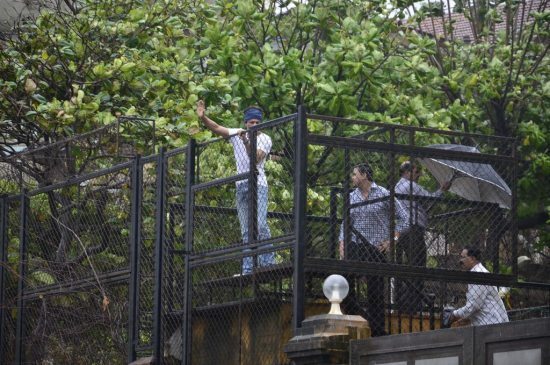 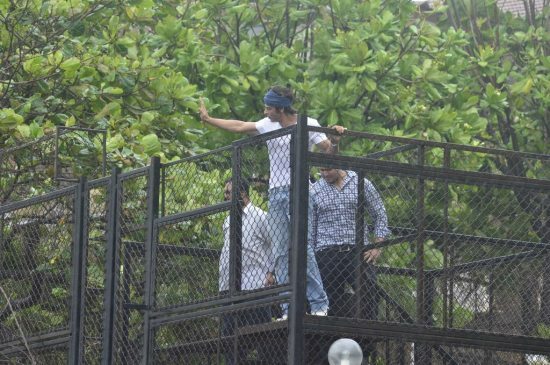 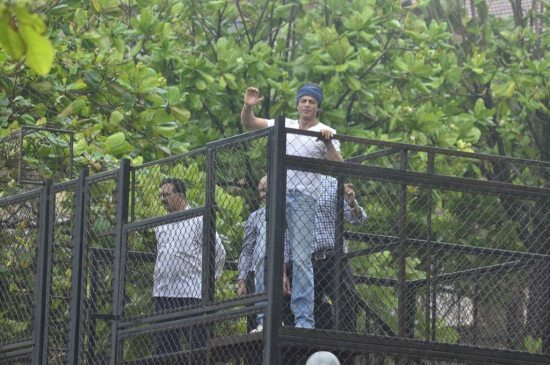 Not only did the ‘Chennai Express’ star wave out to fans, but also climbed up on the fence so that the crowd standing below could get a better view of him. 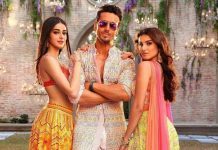 Shahrukh’s last major money-spinner at the box office was Rohit Shetty’s ‘Chennai Express’ opposite Deepika Padukone, King Khan will next be seen on the silver screen in Farah Khan’s ‘Happy New Year’. 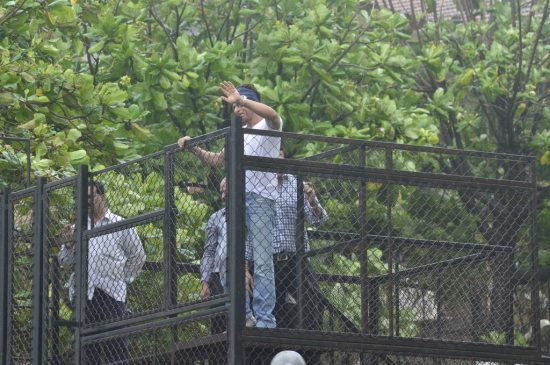 The film once again will see SRK opposite leggy lass Deepika along with Abhishek Bachchan. 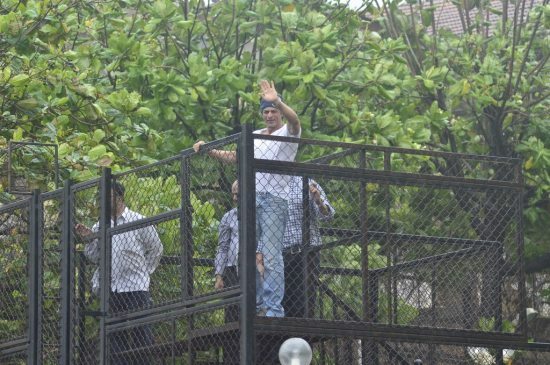 Even when King Khan is not doing films, his stardom never fades, the actor was recently awarded the highest French honor – Legion Honour – by the French government.